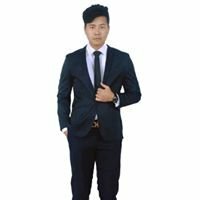 The Official Page of the Award Winning Landed Development in Malaysia, the first and only Spanish township in the country. Country Garden is making the best effort to create a better society with our existence, by giving you a 5-Star home. Country Garden aims to shape a prosperous future through conscience and social responsibility, by giving you a “Precise” and “classic” quality products and services. A prestigious development by Country Garden and L&G, Country Garden Diamond City, an iconic villa city poised to transform urban living. Malaysia's first Spanish Villa Township with sophisticated contemporary Spanish design, come discover unprecedented luxury residences. Open your eyes to scenic views of lush mountains, breathtaking greenery and wispy clouds. Bask in the picturesque scenery of lush mountains, and indulge yourself in world-class greenery landscaped gardens. Be impressed by the exclusive 57,000 sq.ft clubhouse that boasts the largest infinity pool in Kuala Lumpur, private cinema, bowling alleys, billiard and pool tables, spa and a myriad of other facilities. Relish the experience of a five-star hotel service; let us take care of your needs with your personal team. Country Garden Diamond City only delivers the best quality homes and living environment to our beloved customer. 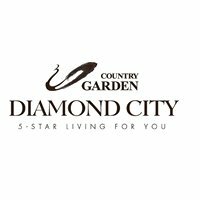 With the fast pace growth in the real estate industry in Klang Valley, Country Garden Diamond City will become the new prestigious residential benchmark for Semenyih. We practice comment moderation and reserve the right to delete any user submitted data or block/ban any users at our sole discretion. Please be respectful to the others. Posts correlated with vulgar, abusive, racist, threats of violence, obscenity, and explicit material or defamatory will have their post removed. We recognize that moderation can be subjective, so we will make every effort to keep our guidelines clear. MG Property Developers Pvt. Ltd.